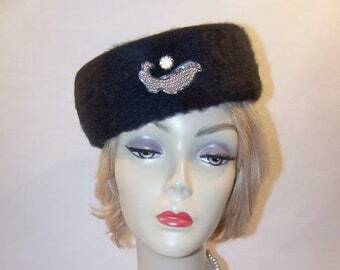 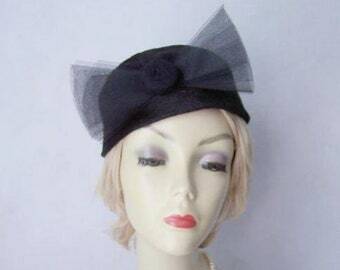 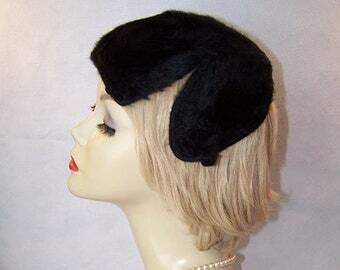 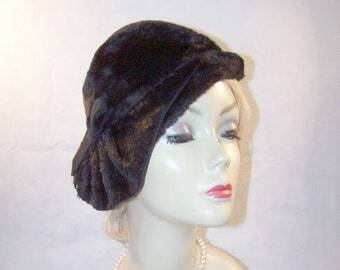 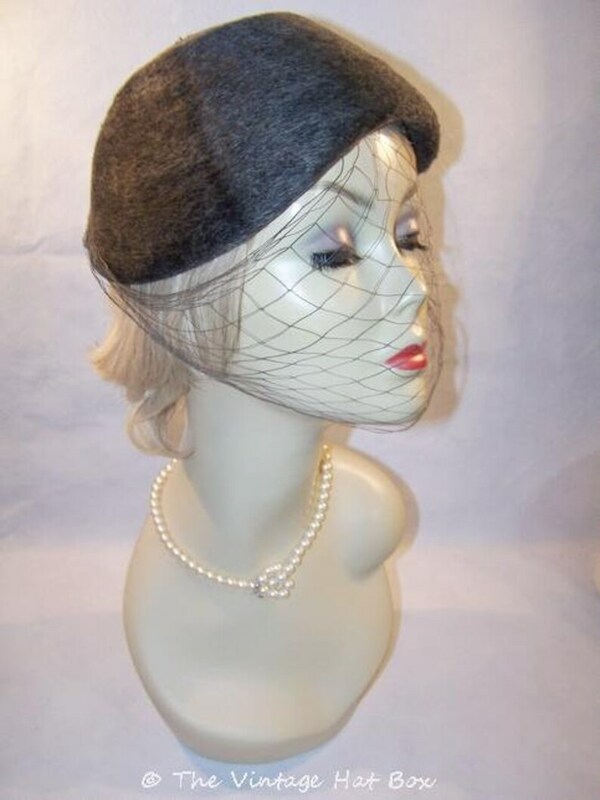 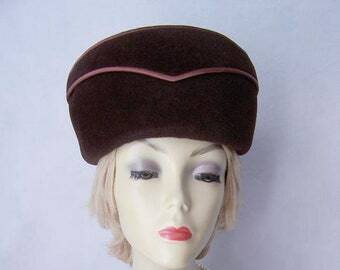 Vintage early 1950's Mr. John dark gray fur felt hat with veil in very good condition. 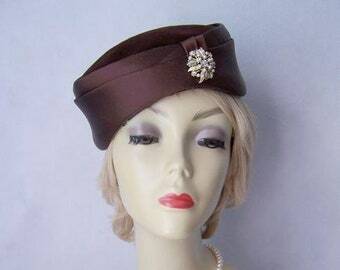 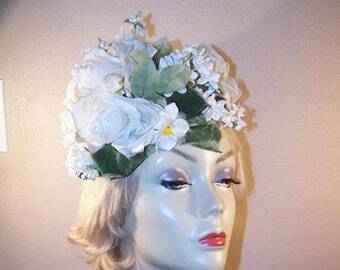 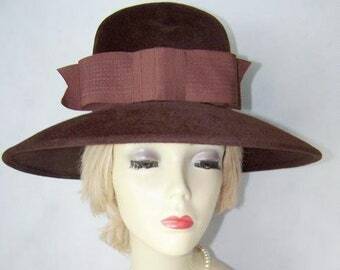 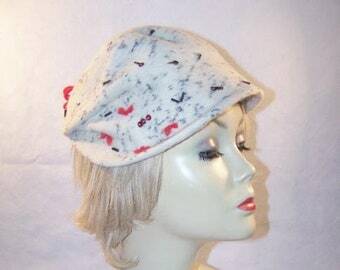 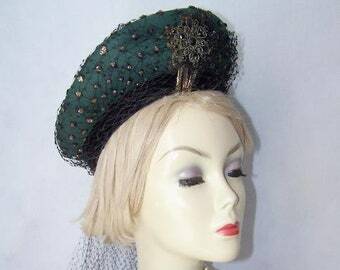 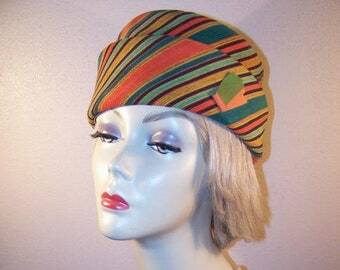 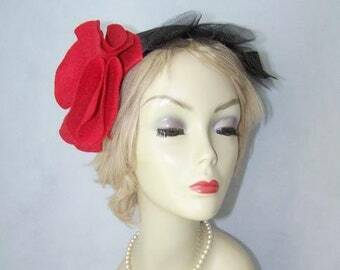 Includes 2 matching vintage hat pins. 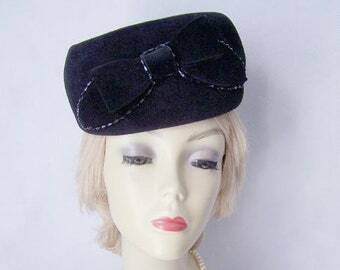 Inner band measures 22 1/2 inches (57.2 cm). 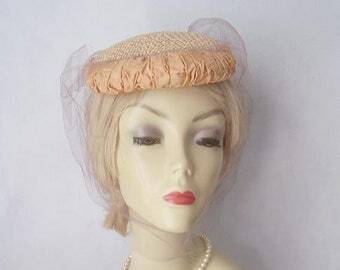 Label is loose.